While I admit that I'm not an avid wine drinker, every once in awhile a glass of wine really hits the spot. I recently had the pleasure of sampling three different varieties of Flip Flop Wines. 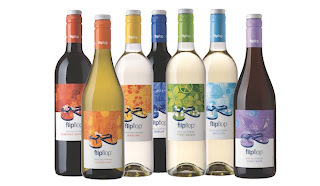 Light and flavorful are two words that describe Flip Flop Wines perfectly. Another one, a personal favorite, is affordable! Each bottle is reasonably priced at just $7. At that price you simply can't go wrong. Perfect with dinner, for cooking, just relaxing or sharing with the ladies! I received Pinot Grigio, Pinot Noir and Riesling. They were all very nice. I was pleasantly surprised. Of the three flavors I tried, Riesling was my favorite! It was the perfect amount of sweetness, both in taste and smell. Smooth and refreshing, served chilled. It was delicious. A company that will focus on taste and price gets a gold star in my book. One that also gives back and helps others deserves so much more. They go above and beyond and deserve very high honors. 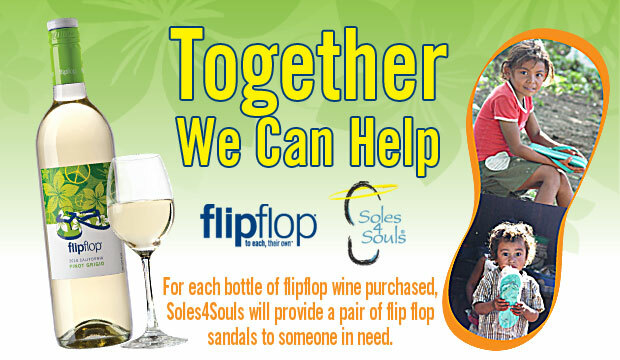 For every bottle of Flip Flop Wines purchased, Soles4Souls will distribute a pair of shoes to someone in need! Simply amazing! 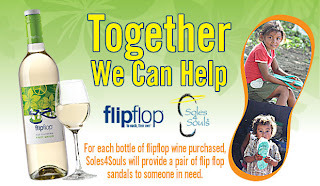 A special thanks to Flip Flop Wines for this great review opportunity!